Can you guess by the title of my recipe what our FoodnFlix film was this month? That's right. 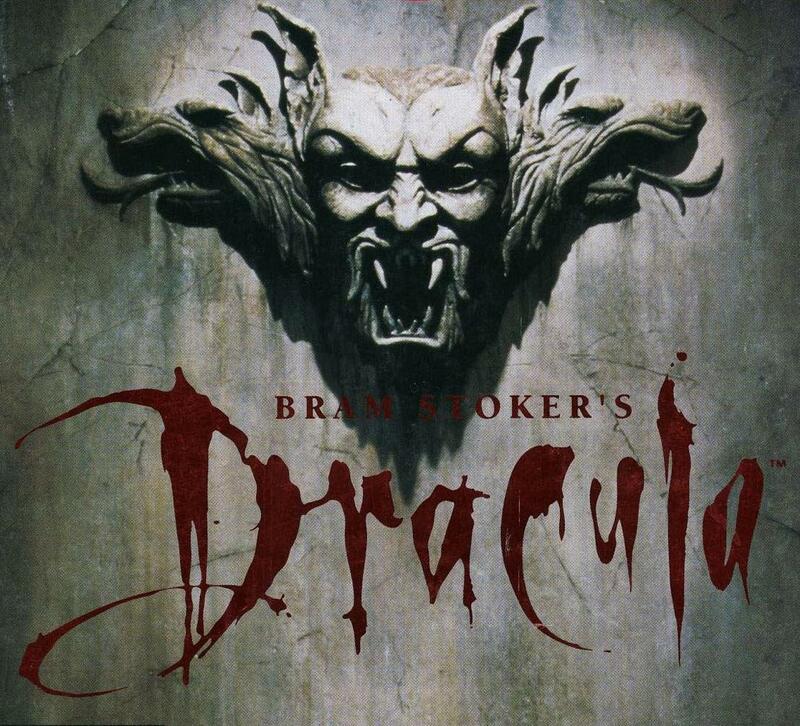 Kimberly of Coffee and Casseroles invited us all to watch Bram Stoker's Dracula. You can jump into the action by going to her announcement post. You have until May 30th to watch the movie and make a recipe inspired by it. I am not a horror film kind of gal. This movie wasn't even on my radar when it came out in 1992. I was busy getting married that year and more into love stories. In fact, I didn't even realize that there was a remake of the movie. This seems weird since it was directed by Francis Ford Coppola and stars Winona Ryder, Gary Oldman, Anthony Hopkins and Keanu Reeves. You would have thought that it would have been all over the media sources. What can I say....I must have been blinded by love. Much like Count Dracula in this movie who only has eyes for his wife. When he leaves to fight the Crusades, his wife (played by Winona Ryder) is told he has been killed and leaps to her death. When the Count comes home to find his true love taken from him he curses God and makes a deal with the Devil. Centuries later, he finds his wife has been reborn and is engaged to Jonathon Harkin, played by Keanu Reeves. The Count arranges to imprison Harkin as he sets off to seduce his fiancée. Mina. There's not a lot of food in the movie. I did see a roast chicken and a roast beef. What really grabbed my attention was some Absinthe used with a sugar cube in the seduction of Mina. I decided I was going to make a bloody looking drink using Absinthe. Then I went to the store to buy some Absinthe. Absinthe is a licorice flavored liqueur that has a very high alcohol content. It is $35 a pint. I changed my mind about featuring it in a drink. We don't care for anise flavor in this house and I knew that it wasn't going to get used other than for this one drink. We have a bottle of Jägermeister on hand for those guests that might want that flavor. So I just made a bloody drink without Absinthe. 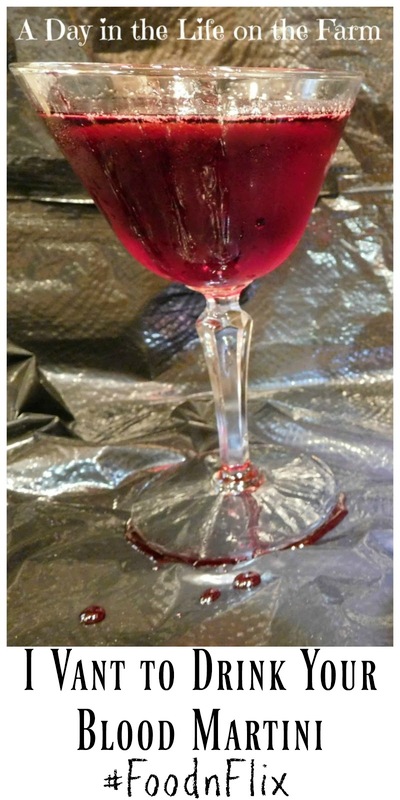 I used equal parts vodka and simple syrup made from Hibiscus Tea that I had bought for last month's FoodnFlix. If you are into Ghoul Grub, Monster Movies and Dracula Drinks you need to pick up a copy of this movie and join us this month. Next month we are watching The Incredibles....I'm looking forward to it. 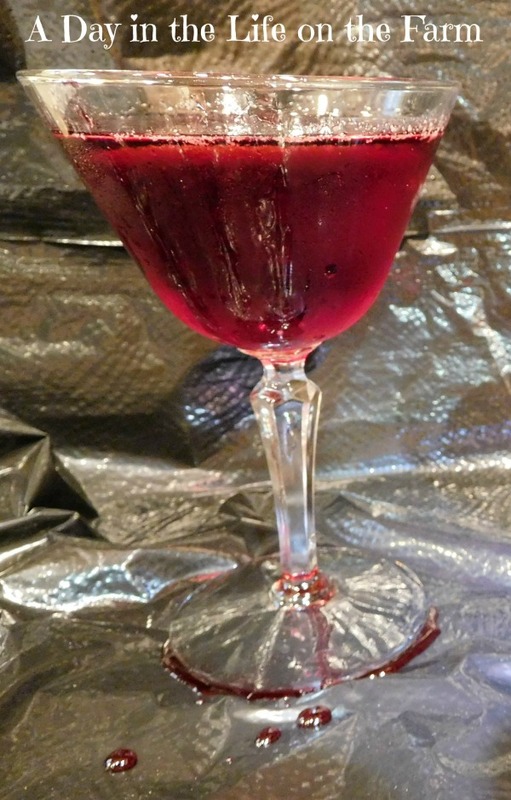 This bloody drink was created to celebrate Bram Stoker's Dracula for our FoodnFlix group. Place the Hibiscus and Water in a pan. Place over high heat and bring to a boil. Reduce heat and simmer for 15 minutes. Strain out the flowers, return liquid to the pan with the sugar. Return to a boil, cook and stir until sugar is dissolved and liquid is reduced and slightly syrupy. Set aside to cool. Will keep in the refrigerator for several weeks. Fill a cocktail shaker with ice. Add the simple syrup, vodka and lime. Shake and pour into Martini glasses. This simple syrup is also great in Margaritas. FoodnFlix is a fun group open to bloggers who enjoy creating recipes inspired by films. You can find us on the internet. This recipe contains alcohol and is intended for those over the age of 21. Please drink responsibly. Thanks for joining in this month, it is perfect. I'm not one for that licorice flavour either. Nice drink, love hibicus anything it looks vonderful muahahahaha! I'm totally a licorice gal, so I went with the absinthe! Love the color you achieved, Wendy. Nice job.